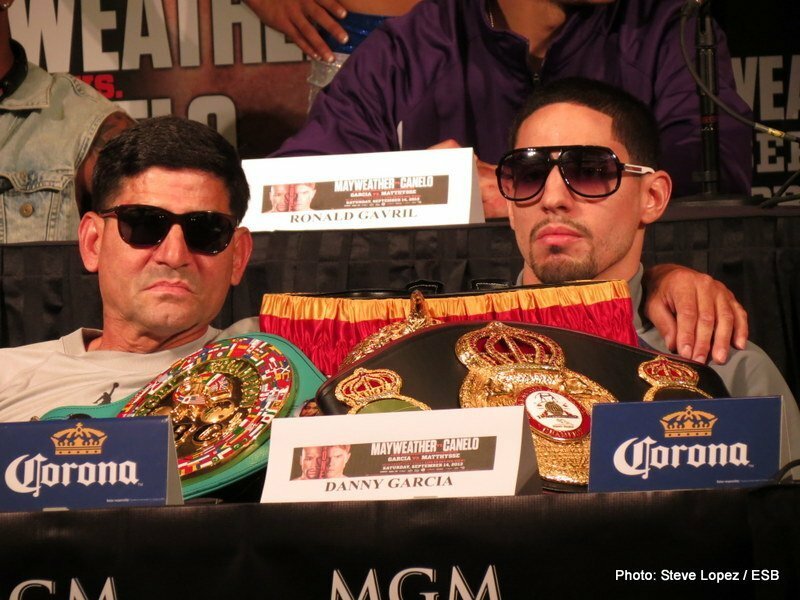 Before last night’s impressive victory over hard punching Argentine Lucas Matthysse, universally recognized Junior Welterweight Champion Danny “Swift” Garcia felt like the “Rodney Dangerfield” of the sports world. Although Danny had garnered an undefeated résumé of 26 victories, no losses, and 16 knock-outs leading into last night’s co-main event, most “knowledgeable” boxing scribes and ringside experts discounted the 25 year old’s chances of beating the highly touted knock-out artist from South America. Even with big victories over former champions Amir Khan, Erik Morales, Kendall Holt, and Zab Judah, it seemed the Philly native was still fighting for the long overdue respect of the boxing community. Now that Garcia has finally acquired the appropriate accolades that an undisputed champion justly deserves, has he earned a prime spot atop the long waiting list of possible opponents for Floyd Mayweather Jr. as well? If you examine all viable and realistic options for the pound for pound king among 140, 147, and 154 pound candidates, Danny must be included in the “Money May” conversation. But in the world of boxing, credentials speak louder words…and money speaks louder than anything. Although Garcia currently boasts a knock-out victory over Briton Amir Khan, expect Golden Boy Promotions to announce a huge battle between Money May and the British fighter to take place in May of 2014, should the former Olympian get past Devon Alexander on December 7th. When you look at the mainstream response to Mayweather’s previous two PPV events, the decision to pit Khan with Mayweather instead of Garcia becomes a little less perplexing. The Mayweather PPV with scarcely known Welterweight Robert “The Ghost” Guerrero was a commercial disappointment; earning less than 900K buys, according to ESPN boxing scribe Dan Rafael. When you evaluate those numbers with the initial projection of over two million PPV buys for last night’s blockbuster with Canelo Alvarez, a global star with international diversity, there’s no comparison. The logical choice with great certainty will be Amir Khan. But is this what the fans of boxing want? More importantly, is this what the fans of boxing deserve? Whatever Floyd Mayweather and Golden Boy Promotions decide to formulate in 2014, Danny and Angel will keep on winning and continue fighting for their place among boxing’s elite. You are here: Home / Boxing News / Danny “Swift” Garcia: Number 46…paging number 46! !